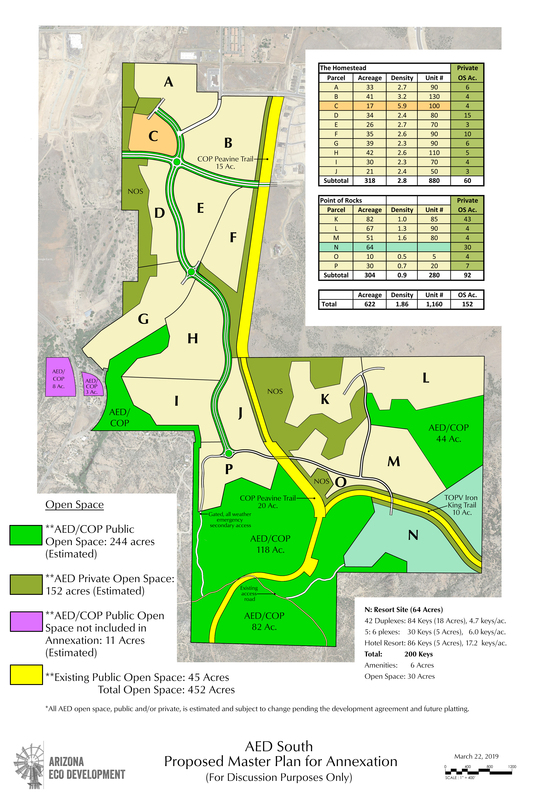 Today, the City of Prescott received a request from Arizona Eco Development to amend their AED South application for annexation (including a new map and a narrative). All this information is now on the City’s website (at www.prescott-az.gov) and Facebook page. Also, hard copies are available for review in the Community Development Department at the address listed above. City staff will review Arizona Eco Development’s newly submitted information coupled with their existing AED North application. Furthermore, the City is expecting additional required annexation application information will be submitted in the coming days.. Once a complete application is submitted, Planning and Zoning Commission meetings will be scheduled.